We believe that a solid and successful team starts with finding dedicated individuals who work and live by the core values of CLIENT SERVICE | INTEGRITY | TEAMWORK. From there we provide excellent training by experts in the field along with an amazing support staff to ensure you have all the tools necessary to be THE BEST at what you do. We are excited to welcome new members on board! 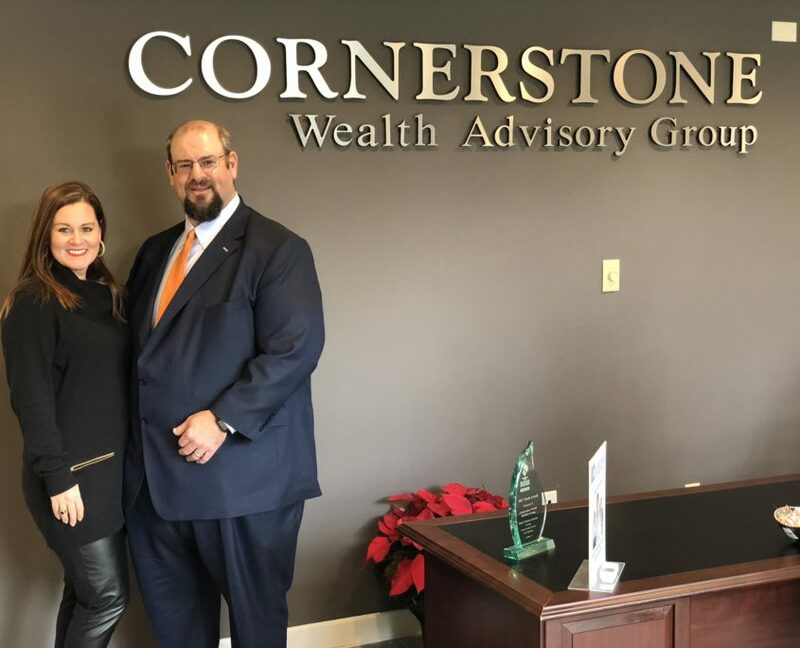 Cornerstone was born when a small group of passionate individuals came together with the same goal: To provide excellent service and exceptional financial products to the retirement aged community. We are proud to have grown into a team of 60+ representatives who work tirelessly to, not only meet but EXCEED the standards set upon the founding of this organization. Our 60+ Agents are available all over the lowcountry and upstate of South Carolina to visit you in the comfort of your own home. Scroll down to learn more about our management team or click at the bottom of this page to find a representative in your area. A South Carolina native with over 15 years in the business, Mike resides in Summerville, SC with his wife Jen and children Max and Mary Tom. After managing a number of top-producing Insurance Agencies he founded Cornerstone with the dream of bringing the best retirement products to clients, while providing a competitive job market for his Agents. He enjoys spending his free time on the Lake and cheering on his Alma Mater, the Clemson Tigers. He and his wife are active members of St. Paul’s Episcopal Church in Summerville. April and her husband Aaron made South Carolina their home in 2005. April entered the workforce in Publishing where she was a copy-editor for the Wakulla news, a book editor and then a reporter and news writer for the Clemson Messenger and Seneca Daily Journal. She was part of Cornerstone’s founding team in 2007 and has been the head of marketing and website development ever since. She and her family live on a small farm in Cottageville with their 3 daughters Adeline, Stella and Hazel. The family enjoys the great outdoors as well as participating in volunteer bible education work. John lives in Charleston, SC with his wife Alissa and their dog Riley. He graduated with a Bachelor’s Degree in Business Management from Coastal Carolina University. In his downtime, John enjoys being outdoors, traveling, watching sports and spending time with his friends and family. Mary Jane and her husband Adam live in Summerton,South Carolina and have an Autistic son, Zak and a cat named Jency. Mary Jane has over 11 years of experience in the Insurance Industry and enjoys spending her free time with her family and friends. Nadia is a a Native of Goose Creek SC. She obtained her B.S. in Criminal Justice from Charleston Southern University. In her spare time Nadia serves her Community as a Health and Wellness and Fitness Coach, as well as an Advocate for Women against Domestic Violence. James Graham is a Goose Creek, SC native who joined the Cornerstone team in early 2019. His primary responsibility with the organization is client database management. David Armbruster grew up in Atlanta, GA, graduated from Clemson University in 2000 with a degree in German and International Business. He currently resides in Mount Pleasant with his wife Patti and their two dogs. They are parishioners at Christ Our King Catholic Church and enjoy spending as much time as possible outdoors. Originally from Massachussets Matthew and his family are enjoying southern living in sunny Summerville, South Carolina. Married to his wife Jaime, the couple are parents to their beautiful daughters Marissa and Taylor. Matthew enjoys playing Golf, and spending time with his family at the beach. Scott and his wife Amy live in Charleston, South Carolina and have two children, Sebastian and Makinzie. Originally from Ohio, Scott has 17 years in the Insurance Industry. Norman started with Cornerstone Wealth Advisory Group in February of 2009 and quickly rose to one of the top agents in the organization. Through hard work, skill, adopting a mindset of putting his clients first, and doing what is in the clients best interest allows him to serve thousands of clients, including repeat and referral clients throughout his tenure. Norman always takes pride and time in building relationships with each and every client to establish a long lasting bond with their entire family. He also uses his professional expertise to create a lasting family health and financial legacy for his clients. Teresa Walker is originally from North Carolina. She and her family relocated to the Charleston area in 1999 and have made it their home. She’s happily married to her husband Bryon, a mother of 3, and proud grandmother of 3 awesome grandchildren. Jim has been with Cornerstone since 2008 and currently resides on Daniel Island, SC. He enjoys helping seniors to plan and manage their retirement and his passion for helping others has moved him into a management position as a field trainer where he’s able to mentor those new to the industry. In his spare time Jim enjoys spending time with his wife and 3 children as well as playing and coaching sports. Matthew Shaffer is one of Cornerstone’s Field Trainers. He loves helping his clients to find innovative ways to plan their retirement and to mentor other advisors in their journey to become excellent financial planners as well. Cheryl has been with Cornerstone since 2011 and finds it very rewarding to help change the lives of those she works with. As a field trainer she’s also able to pass her skills on to those advisors she mentors. Cheryl enjoys spending time with her children and grandchildren. Greg Greene joined Cornerstone in the fall of 2009. Originally from Florence, Kentucky, Greg and his wife, Tina, moved to Summerville in 2006. They love the weather, golf and the beach as well as spending much of their leisure time at their pool or entertaining their dog Lucy. Cornerstone is always seeking talented and passionate individuals to join our team. If you’d like to learn more about becoming part of the Cornerstone family, click below to apply!